As I was growing up there were always certain titles I’d pick first for a weekend of gaming. I’d call some mates up, get them over, controllers at the ready and dive in to some Cel Damage or Fuzion Frenzy for hours on end. The reason being, back then, party games were great and by far the best way to enjoy some proper competitive multiplayer – especially if you had the good controller. 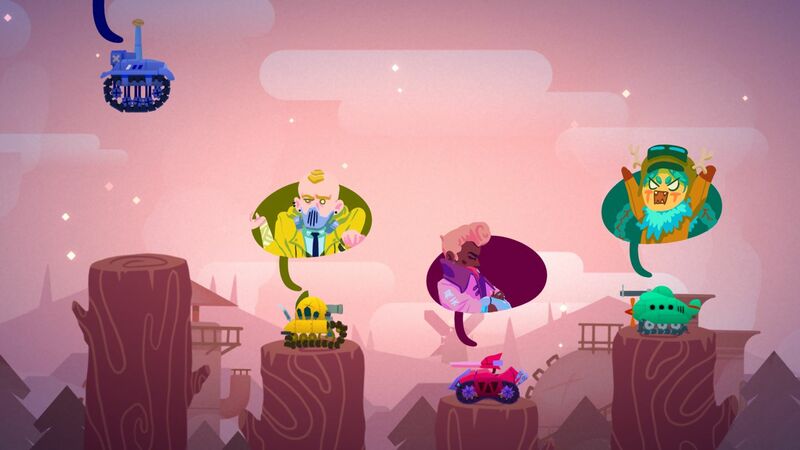 Nowadays though, party games have been all but lost in the myriad of online multiplayer titles and it seems rare that we see games arrive that focus on the classic local multiplayer over that of a constant online connection. 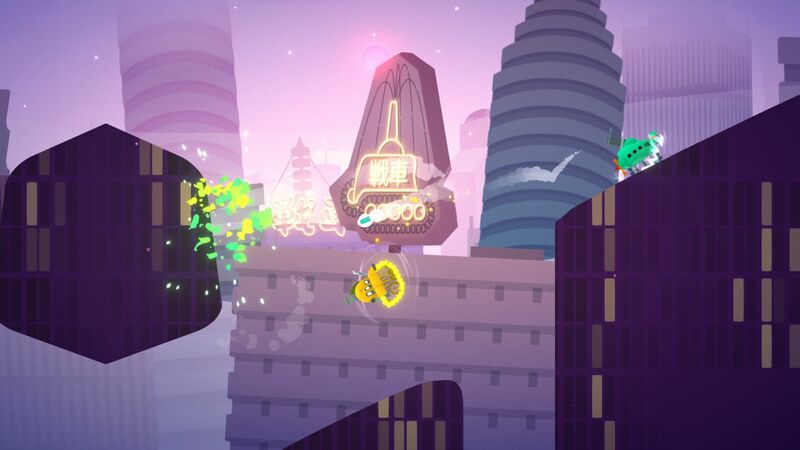 Treadnauts is one of the few however and with local multiplayer taking precedent, does it have what it takes to show us there is still plenty of fun to be had with the local scene? 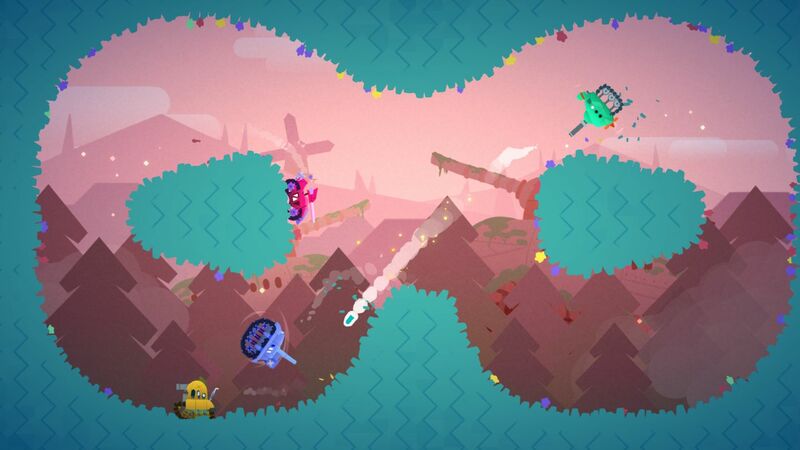 In Treadnauts, each player takes on the role of a tank, and once you have control of said tank, you must then drive to the other tanks you’ll see onscreen and heartlessly destroy them over and over again. The fun of this comes from the fact that every one of those tanks will be tied to a controller held by those sat beside you. Depending on the game mode and settings you have applied, this may just be enough to see you given victory, if not, one of your friends is certainly going to walk away with bragging rights. But there is a lot more skill required than its colourful and cartoonish visuals let on. When choosing a tank, players have four different drivers and unique tanks to choose from with Wagner, Nalani, Rohan and Momo all available, whilst a fifth unlockable character, Santi, is also present once you’ve levelled up a little. Each character boasts their own personalities and standout colours, with their vehicles proving just as noticeable in battle. And once that is sorted there is only one thing left to do before you head in to the fight – provided you haven’t already started a war whilst waiting in the lobby that is – and that is to select the modifiers you want present in your game. This modifiers list is what changes Treadnauts from a simple and rather plain local multiplayer experience into something rather exciting. As you’d expect, they make changes to the gameplay, but with an entire page of options to choose from, including some extra ones that unlock as you level up, there are certainly plenty to choose from to ensure the game doesn’t become dull. Included are things such as amending the rule set, game mode, game length, item crates, bomb timer, type of shell you’ll be firing, reload speed, weapons used and much more. There really are so many options to choose from when it comes to setting up your game, but even if you were to look past all of them, there is still plenty of fun to be had with the very basic settings and it is these that allow you to get to grips with the surprise skill that’s required to handle your tank. You’ll need to get to grips with the game modes too, and one of the first you’ll hit will be that of Survivor – a last tank standing match type. Other options available include Team Attack, which pairs players up to fight a team battle and Treadhunter, which offers points for kills, with the winner the one who holds the most points at the end. There is also a Target Test mode, which offers a single player mode for those looking to play solo and a tutorial should you want to learn the basics before heading in. For me, Treadnauts is more amusing by far when you find yourself learning from scratch in a competitive setting with fellow players. So on to the gameplay then and Treadnauts is at first glance a rather simplistic game. The left stick controls basic movement around the map, A is jump, X or RT is shoot, LT works your slide, B honks your horn, and RB is your emote button. From those controls alone, you can guess which ones are used for toying with your opponents, with the honk and the emote button often coming into play when you’ve just finalised a skilful trickshot whilst flying through the air. See, even though you are driving tanks into battle, they hardly control like tanks, with players able to drive up walls, along the ceiling and perform flips if they so wish. The bit that requires the skill however is in the shooting as simply tapping X or RT won’t offer a direct line straight ahead, and instead players must hold the button to dictate just how far the shell will fire. Still pretty simple right? Well how about doing that when all players have a tank that is nimbler than a frightened cat and can dodge bullets with a simple jump from surface to surface? This is where more skill is required, and also where the slide comes into play, ensuring you need to judge where your opponents will be before firing a shot. To put it into context, those of you out there who have either seen or played Rocket League will find the same level of skill required if you intend to be a pro at Treadnauts. One highlight of my gameplay saw me able to use the tank to shoot at the floor whilst I was already upside down, propelling it through the air, before turning mid-flight to land on an opponent and squash them to their demise. It is this that really kicks in just how interesting a game could be, with skilled players flying around the screen; there is certainly plenty of fun to be had whilst desperately jumping around trying to avoid randomly fired shells from across the other side of the screen. Another feature that I appreciate is the fact that each of the 2D maps are destructible in a very worms-esque style, so there’s no hiding behind platformed areas to avoid being attacked, as too many shells will see any piece of land destroyed… some of which contain death inducing bombs and mines that prove fatal to any player even remotely close by. Unfortunately, whilst this simplistic yet surprisingly in-depth title has plenty to praise, there is one glaring issue that is a sorely missed opportunity, and that is the lack of any bots. 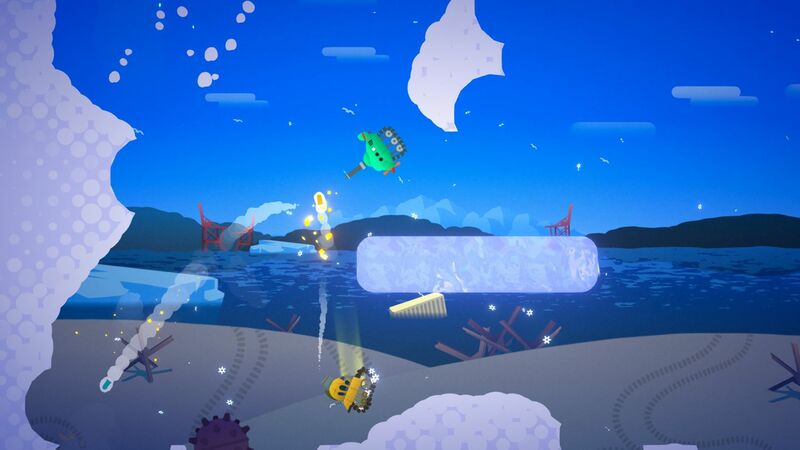 Whilst I for one love to see a game that promotes local multiplayer, it is often difficult to ensure family and friends are always around, and so having bots available to fill in the gaps when others aren’t able to take to the controller would certainly have been a fantastic feature to include. That said Treadnauts is, at its heart, an enjoyable and focused local multiplayer title that’s accessible to newcomers with its simplistic controls and easy to understand gameplay, yet is still in-depth enough that those who have been playing for a while can ramp up the skills to bring some rather stunning plays. Unfortunately, you’ll need a few friends to hand any time you wish to head into battle, as there is no option for online multiplayer either, but if you can spare the extra hands then you’ll no doubt have a blast with this colourful party game. Edit: Although not stated, local play with bots is actually possible. The development team are currently working on making this clearer.